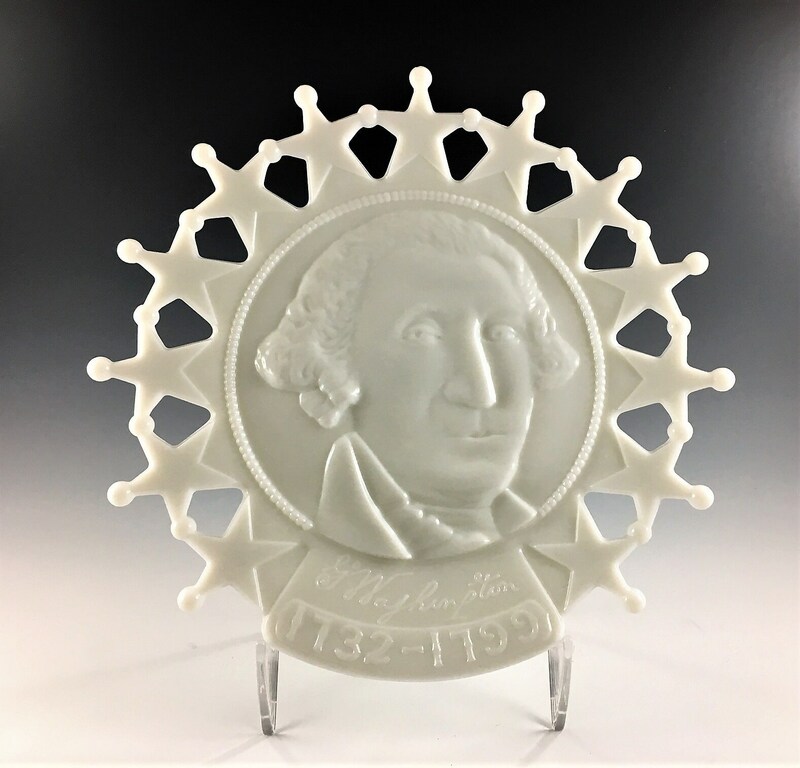 Featured is a vintage Westmoreland milk glass plate commemorating George Washington. This beautiful piece measures about 9 1/2 inches in diameter and has 13 stars around the perimeter. This piece is in excellent condition, free from any chips or cracks.